Blazhen muzh. 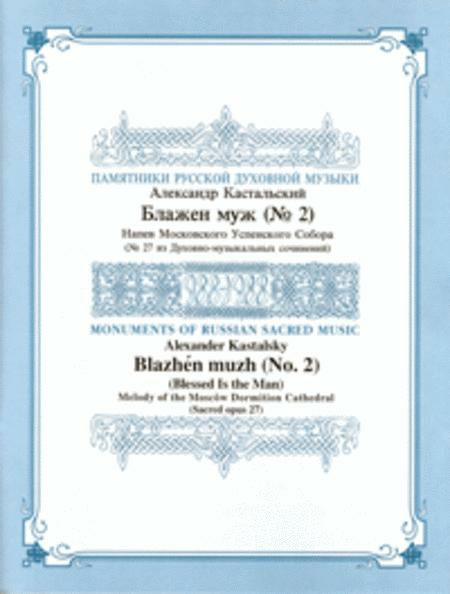 Composed by Alexander Dmitriyevich Kastalsky (1856-1926). Choral octavo. With Language: Church Slavonic. Published by Musica Russica (MR.KS-035). A brilliant pre-cursor to Rachmaninoff's setting of this text in his All-Night Vigil, tapping into the ancient chant melody of the Moscow Dormition Cathedral, nearly as ancient as Moscow itself.